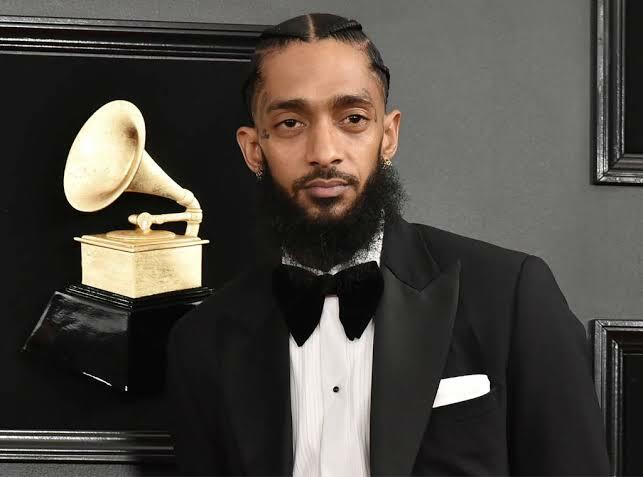 According to local media reports, Grammy-nominated US rapper Nipsey Hussle was shot dead in front of his own clothing store Sunday afternoon at close range, by a man who fled in a getaway car. "Our hearts are with the loved ones of Nipsey Hussle and everyone touched by this awful tragedy," LA Mayor Eric Garcetti tweeted. A police spokesman told AFP the suspected shooter remained at large. "L.A. is hurt deeply each time a young life is lost to senseless gun violence," Garcetti said. 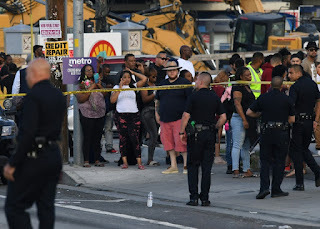 The Los Angeles Times reported the shooting was "likely planned and gang-related." The Grammy-nominated rapper found minor commercial success but was highly revered among his peers, and his shock death triggered an outpouring of tributes from hip hop royalty. "Gone 2 soon," rapper Snoop Dogg posted on Instagram. "I'm so sad right now I'll just reflect on the good times we had." Superstar Rihanna posted that "this doesn't make any sense! "My spirit is shaken by this! Dear God may His spirit Rest In Peace and May You grant divine comfort to all his loved ones! I'm so sorry this happened to you @nipseyhussle." Outside his clothing store, a crowd gathered behind yellow police tape, and a grief-stricken woman clasped her hand over her mouth. Crowd gathered outside his store. At least one cartridge case lay on the ground, near a black ball cap. Long part of the underground rap circuit, Hussle struggled to find fame but began selling his own mixtapes, which rap king Jay-Z once bought 100 of for $100 each. "Having strong enemies is a blessing." Hussle's "Victory Lap" scored a Grammy nomination for Best Rap Album at this year's ceremony. It was his first formal album, which dropped after six years of teasing but ultimately lost the honor to rap's woman of the moment Cardi B.
Megastar Drake also posted his condolences, saying: "My whole energy is just at a low right now hearing this." "You were a real one to your people and the rest of us," Drake wrote. "Rest easy my g."
Born Ermias Asghedom, Hussle was seen by many in Los Angeles as a lynchpin of the community, redistributing his earnings into the violence-plagued neighborhoods he came from. The artist was involved in a project to reclaim the California city's southern districts for the black residents who made it sing. "Hussle had a vision of a neighborhood built for and by the sons and daughters of South L.A." said city councilman Marqueece Harris-Dawson in a statement following news of the rapper's death. "During his life, he moved from shadows into the bright hope of freedom and community revitalization." Hussle was open about his early years in the notorious Crips gang, telling the Los Angeles Times newspaper in 2018: "we dealt with death, with murder." "It was like living in a war zone, where people die on these blocks and everybody is a little bit immune to it," he said. "I guess they call it post-traumatic stress, when you have people that have been at war for such a long time."